more in your email box! "Just wanted to pass on a note on how much we enjoyed dining at your location in Fredericksburg last Tuesday night. Even with a busy restaurant the staff was friendly and the food was excellent. We will certainly stop when passing thru again!" "Your barbecue is the best around! 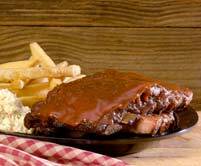 I look forward to trying the new location in Lakeside to make sure that it taste the same." In order to truly gauge just how good the food is here, we’ve put together some yummy combos to give you a sample of our world! 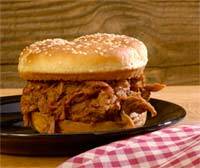 Virginia’s traditional style, hand-pulled pork, tossed in a flavorful homemade BBQ sauce, served on a fresh roll. Our best seller! Folks down in North Carolina would never put none of that red stuff on no BBQ, so this one is for them! 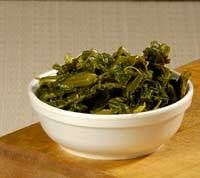 We season this BBQ with a perfect blend of champagne vinegar and whole grain spices. Served on a fresh roll. Yummy! Brisket beef, smoked to perfection, the only way they eat beef in Texas...And...Oh yeah, hey Lady, we found the BEEF! A perfectly smoked rack of pork ribs seasoned just right, we must issue a warning that in your haste to get these ribs down, be careful not to mistake your finger for a rib! Two sides included! We apologize for serving hot, fresh, bomb fries, we know that’s not what you’re accustomed to eating. You know, usually we give a description of our foods, but for security reasons, we can’t reveal our recipe. Um, we are not kidding, ok? Seasoned beans with mustard and ketchup, sweet brown sugar and spices, and remember...? They are good for your heart! 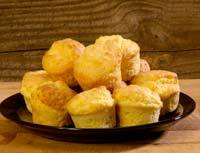 We do something a little different with our corn bread, try it and find out what! 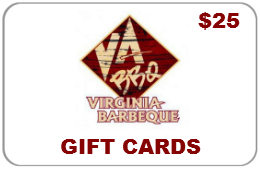 For the people (most often from New York) that want to know what BBQ, pronounced BAH-BA-Q, tastes like we offer 3 oz NC BBQ, 3 oz VA BBQ and 3 oz TX BBQ,and two sides. MUNCHIE REASONS YOU WILL LOVE US! 4 regular buns/add $2 for JJ Cassone Kaisers. Feeds a family of four.